Dimensions 1.75 by 6.50 by 9.50 in. Flynne Fisher lives down a country road, in a rural America where jobs are scarce, unless you count illegal drug manufacture, which sheâs trying to avoid. Her brother Burton lives on money from the Veterans Administration, for neurological damage suffered in the Marinesâ elite Haptic Recon unit. Flynne earns what she can by assembling product at the local 3D printshop. She made more as a combat scout in an online game, playing for a rich man, but sheâs had to let the shooter games go. Burtonâs been moonlighting online, secretly working security in some game prototype, a virtual world that looks vaguely like London, but a lot weirder. Heâs got Flynne taking over shifts, promised her the gameâs not a shooter. Still, the crime she witnesses there is plenty bad. Flynne and Wilf are about to meet one another. Her world will be altered utterly, irrevocably, and Wilfâs, for all its decadence and power, will learn that some of these third-world types from the past can be badass. About: Depending on her veteran brother's benefits in a city where jobs outside the drug trade are rare, Flynne assists her brother in beta testing a video game only to uncover an elaborate murder scheme. 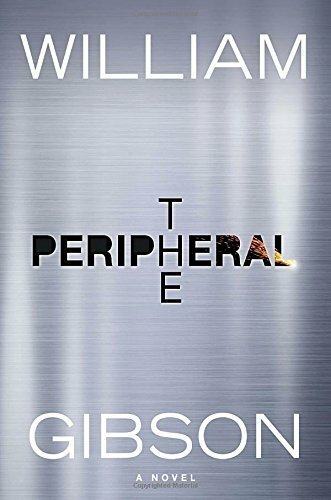 About: The New York Times bestselling author of Neuromancer and Zero History presents a fast-paced sci-fi thriller that takes a terrifying look into the future.